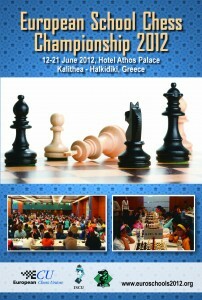 The European School Chess Championships 2012will take place in the Conference Center of Athos Palace****, a member of the G Hotels Group in Kallithea, located on the Kassandra peninsula of Halkidiki. The G Hotels Group holds a dynamic presence for over thirty years within the hotel business, maintaining a leading role in the tourism field of Greece with five holiday resorts. Among them are the 4-star Athos Palace, the 4-star Pallini Beach and the 3-star Macedonia Sun which will all be used for the event. The venue is 80 km (an hour drive) south from the international airport of Thessaloniki. The event consists of 8 age group tournaments (Open U7, Open U9, Girls U9 Open U11, Boys and Girls U13, Open U15, Open U17). 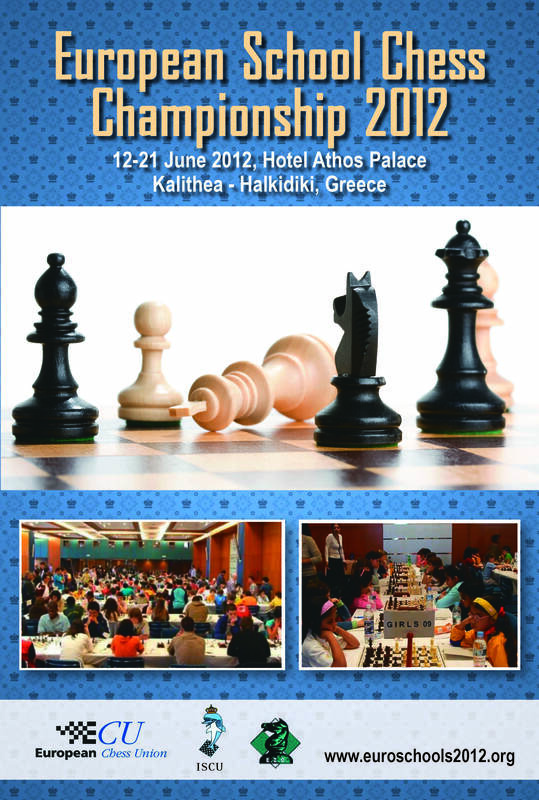 The first winner in each open age category will be the European School Champion for 2012 and the first girl in each girl age category will be the European Girl School Champion for 2012. The games will be played according to the Swiss System in 9 rounds, FIDE rated. National ratings will not be taken into consideration for the pairings. Rate of play will be according to FIDE regulations 90 minutes for 40 moves plus 30 minutes for the rest of the Game with an increment of 30 seconds per move starting from move 1. Communication between players (draw offer) is forbidden until the 40th move has been played.